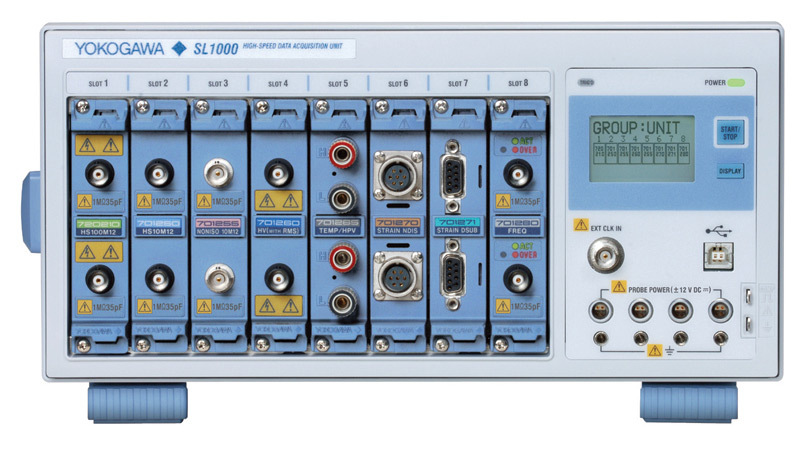 The SL1000 is capable of linking up to 8 units, up to 128ch max, in synchronized mode using our SL1000 Acquisition Software. Using a common LINK file, data from all units can be processed and analyzed, as one, at the same time. Make sure that the SYNC OUT port from the Master Unit is connected to the SYNC IN port of the Slave Unit.